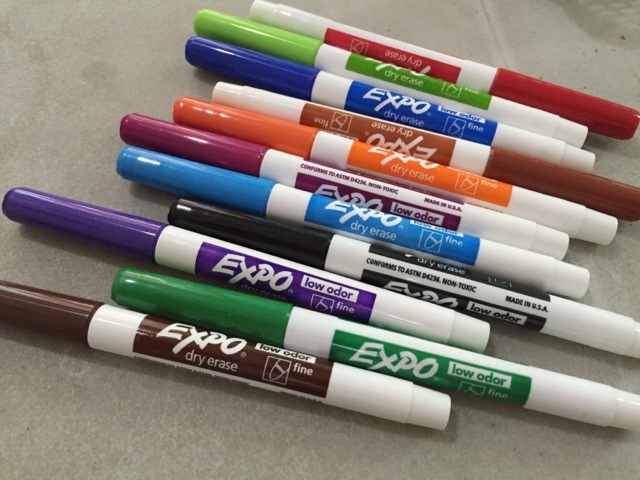 Love Love: Wipe-clean books & Dry-erase markers ~ Mommy Meowmeow! Just a few weeks ago, we started our homeschooling activities for our 2.5 year old toddler. We have free-play & read alouds and of course some activities to help build her pre-writing skills too! But I noticed that she wasn't too confident nor comfortable yet with holding any writing material be it pen, pencil or crayon. We don't want to rush into it, given her age, so we just let it slide for the meantime. Good thing I remembered to update our pediatrician about it and she assured that we really shouldn't worry. She also advised that at this stage, it's better to just pique her curiosity and familiarity is good enough. She also reminded us to let her use the jumbo version of crayons and pencils. (And bigger things to trace too) And that should she wish to trace or doodle, to just let her..even if she's just grasping at the pen and not really holding it properly. At least she gets some pre-writing practice and it will self-correct (or at least we can intervene) in the future; this is of course, owing to the fact that she's not even preschool age and have not mastered hand muscle control yet. I'm really proud of her that at least, now she tries her hand in this activity instead of shunning it altogether & say, "Mommy, ikaw na lang mag-trace." Hehe.. 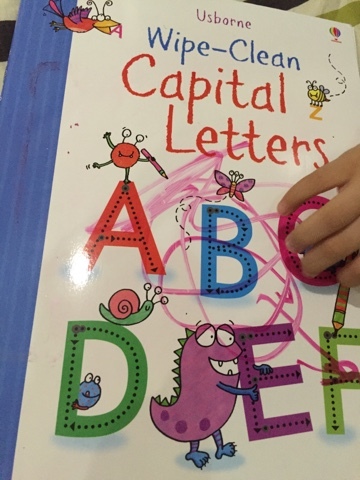 I was really very happy with our DIY sorta tracing sheets but couldn't resist when I saw this very nice Usborne Wipe-Clean book on capital letters! 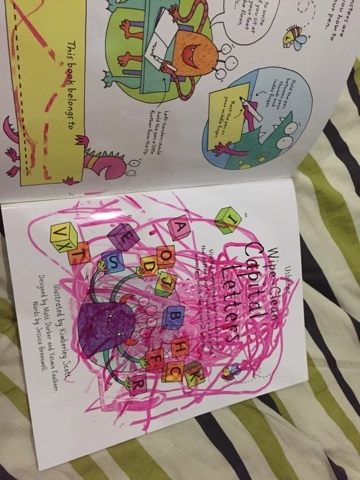 It's cute, fun and in not so many pages, tells a story through quirky artwork how these monsters also want to learn their letters - straight, curvy or zigzag!